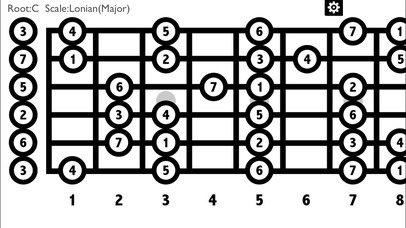 This is a query application about guitar scales,which contents: Ionian、Blues、Dorian、Aeolian、Melodic Minor and so on. 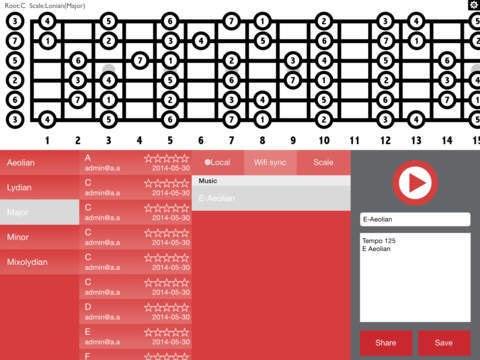 From now on,you can practice the scale easily by IPHONE or IPAD anytime if you want. 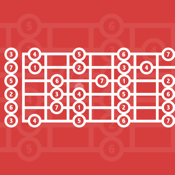 The application can switchover the Tone or Letter mode. You do not need to study other using ways,because it is so easy.